Looks like SoHo Italia will start moving forward sooner rather than later. Notice was posted on the entrance to the Presentation Centre on Champagne, that brings more than just a rumour to a possible start date. Block it off in your calendar, the pre-launch party will be in March of 2019! The Mastercraft Starwood project is set to be located at 500 Preston Street in Little Italy. While it has not yet launched, it was to have 161 units over 30 stories, with pricing originally from the low $200k’s. 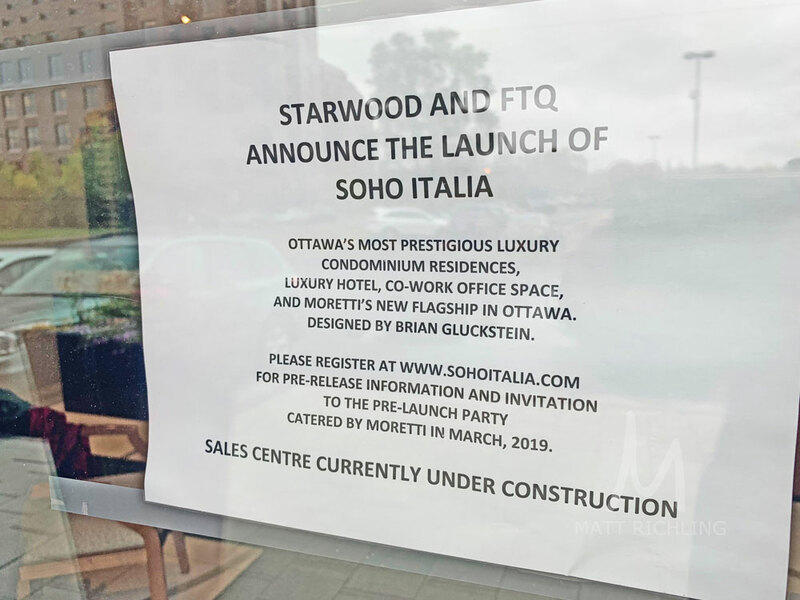 For more information about Soho Italia, or pre-construction properties in Ottawa, fill out the form below.